Office Depot, Staples talk about merging; Christie, Paul draw fire for vaccination stances; Google plans Uber rival. 1. 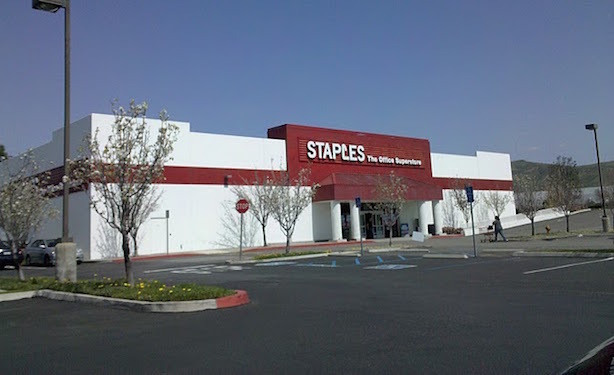 Office-supply giants Staples and Office Depot are in advanced talks to combine, according to a Monday night scoop by The Wall Street Journal. Office Depot acquired former rival OfficeMax in 2013. The big-box chains are facing a growing threat from Amazon and online retailers. 2. The hottest topic in national politics this week is vaccinations, driven by the worsening measles outbreak. Presumptive Republican candidate Sen. Rand Paul of Kentucky is drawing heat after he said he's heard about cases of children contracting "profound mental disorders" after receiving vaccinations. New Jersey Governor (and Arsenal supporter) Chris Christie also said Monday that parents should have some leeway on whether they vaccinate their kids, then backtracked a bit. Former Secretary of State Hillary Clinton tweeted an unambiguous pro-vaccination stance on Monday night, and President Barack Obama has encouraged parents to get their kids up-to-date on their shots. 3. After a year of reputation challenges, Uber could soon face competition in the tech-enabled car-service space from Google, which is planning a rival to the ride-hailing service. Google’s step into the market should terrify both Uber and competitor Lyft, according to Vox. In something of a return volley, Uber said it is planning a research center to test self-driving cars. 4. President Obama will meet on Tuesday with 10 people who wrote letters to him about how the Affordable Care Act has helped them as the GOP-controlled House of Representatives considers more legislation to repeal the law. 5. The rules governing how legislators in Congress can use Twitter are complicated. So the microblogging service set up a team in Washington, DC, to help them understand how to legally and ethically use the platform. The five-person group also works with local and regional officials. 6. 114.4 million — that’s how many people watched the New England Patriots defeat the Seattle Seahawks in Super Bowl XLIX on Sunday night, a new viewership record. The previous mark was held by last year’s Super Bowl, in which the Seahawks trounced the Denver Broncos. Your call: What brand won Super Bowl XLIX?